Hair loss cannot be cured within a few days of consuming medications to provide healthy growing hair for the rest of one's life. Hair depletion is the failure or slowing down of the natural hair growth cycle within the body. 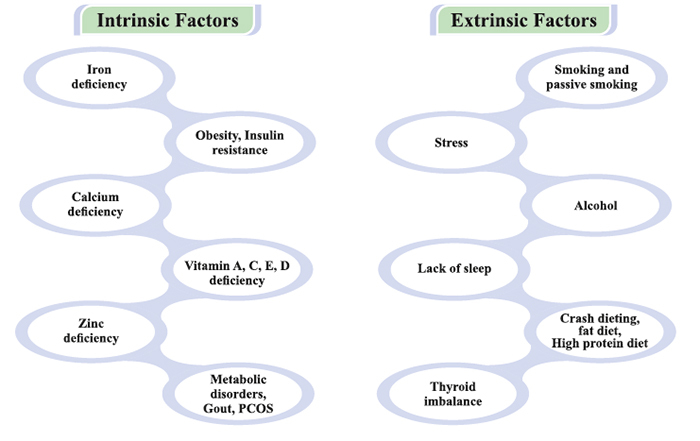 Hair loss occurs when there is a dys-regulation of hair growth, therefore we need to provide external stimulation and internal nutritional support, in a structured and supportive program. When an effectual program is applied, the hair response is genuine and outcomes occur in the normal cyclical pattern. The concept is CARE, not CURE. The growth cycle of hair endures three different phases. Anagen is the first phase and is the most active. 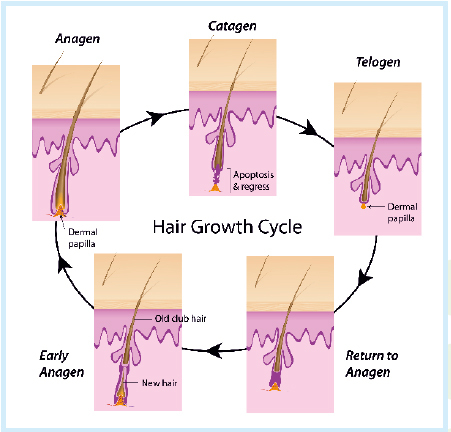 Catagen is the second phase, occurs when hair is turned into keratin. Telogen is the final stage of the cycle, where the hair sheds and the anagen phase recommences. When the follicles fail to re-enter the anagen phase, hair loss occurs, leaving the follicles inactive and over time, leading to thinning and noticeable hair depletion. © 2016 Grace Biogen. All Rights Reserved. Powered by Design World Creations.